If you don't pinch yourself, you could have easily travelled back 17 years in time. That's the feeling this listener got from the title track of Blue Hour's latest release. 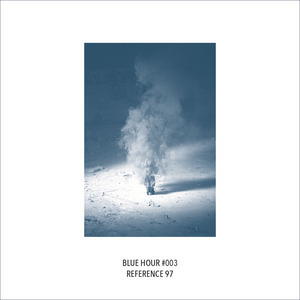 Like the music from the last great year for '90s UK techno, "Reference 97" is a high-tempo, dense percussive workout that shifts into icy synth sounds midway through without losing its dancefloor power. It could pass for a classic Plink Plonk or Rotation release. "Don't Speak" is more stripped back and its firing rhythm only has a few basic elements, like a sweaty vocal sample and weird techno tones. "Don't Speak" see Blue Hour venture into deeper sounds with a focus on rumbling break beats and serene, Dave Angel-style synths.